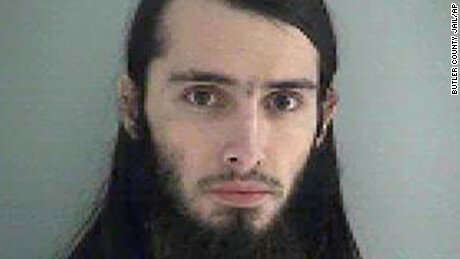 Christopher Lee Cornell, 20, was arrested Wednesday over an alleged plot to bomb and shoot up the U.S. Capitol building. Here are 10 more high-profile and known instances of failed terrorism attempted on American soil. 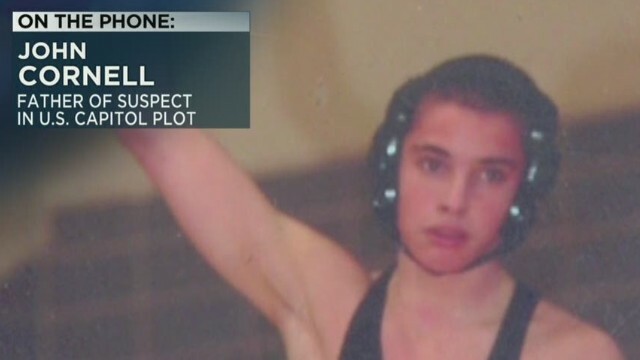 (CNN) For months, 20-year-old Christopher Lee Cornell had been on the FBI’s radar. Authorities said he left alarming posts on social media, talking about violent jihad. On Wednesday, agents arrested the Cincinnati man before he could put his alleged plot into action. Authorities say Cornell, who ostensibly tweeted under the name Raheel Mahrus Ubaydah, hatched a simple scheme. It was similar to the Paris attack on the offices of Charlie Hebdo, but at a key location — the U.S. Capitol, said a criminal complaint filed by an FBI agent. The plan: Set off pipe bombs to put lawmakers and employees in panicked flight and then gun them down with an assault rifle as they ran across his path and that of an accomplice, Special Agent T.A. Staderman wrote. Cornell was ready to go, the agent said. Christopher Lee Cornell’s mugshot from the Butler County Jail in Ohio. He had made preparations with a partner. He had researched bomb-making instructions and by Wednesday, Cornell had bought two M-15 rifles with 600 rounds of ammunition. But the man Cornell believed was his partner was actually an FBI informant, a man in trouble with the law who worked with the agency to improve his legal standing. When they found out Cornell had the weapons, authorities made their move before Cornell could make his. A law enforcement official told CNN that there was never any danger to lawmakers. Around lunchtime, more than a dozen agents and local police stood at his parents’ house, where he had lived. “We heard a pound on the door,” John Cornell, Lee Cornell’s father, told CNN’s Anderson Cooper. Had he not opened it, they would have battered it in with a ram, he said. They took the whole family in for questioning. “Where is my son; what is he being charged with?” John Cornell wanted to know. “They wouldn’t tell us anything,” he said. In the fall, the informant told the FBI about someone he had been in touch with via Twitter, the criminal complaint said. At the end of August, Cornell had allegedly written him an instant message saying the two of them should carry out a lone wolf attack as a way of supporting ISIS. He didn’t think ISIS or al Qaeda would give them an official sign-off, but he felt he didn’t need it. “… we already got a thumbs-up from the Brothers over there and Anwar al-Awlaki before his martyrdom and many others,” Cornell allegedly wrote. 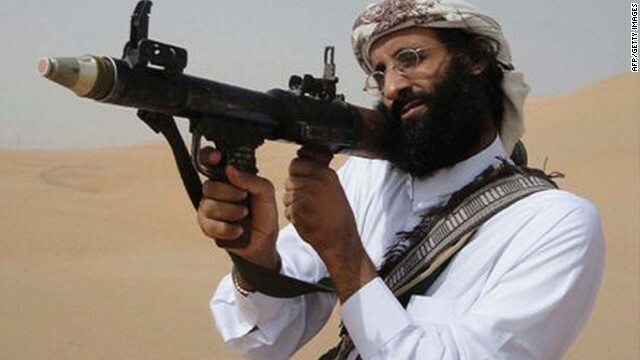 Al-Awlaki was a U.S.-born radical cleric associated with Yemen’s al Qaeda arm. He was killed in a drone attack in 2011, but his legacy seems to have influence on would-be terrorists around the world. Cornell allegedly told the informant that he had been in contact with people overseas, and that he had aligned himself with ISIS. And he grew closer to the informant. “I believe we should meet up and make our own group in alliance with the Islamic State here and plan operations ourselves,” Cornell allegedly messaged him. The two met twice in person in Cincinnati, the complaint said — two days in October and two in November. Cornell researched how to build pipe bombs and saved up money to buy weapons and ammunition, the complaint read. His father casts doubt on some aspects of the purchase. Cornell was unemployed and worked only seasonally for minimum wage. He was about $500 short of the money needed to make the purchase on his own. “He had $1,287 saved up. These guns cost over $1,700,” John Cornell said. He thinks someone else had to make up the difference and blames the FBI. He thinks his son was pushed into the plan. Cornell wanted to make his “move” in December, the complaint said. He and the informant, posing as his partner, were to travel to Washington, scout out the Capitol and then detonate the bombs and open fire. In middle school and high school, Cornell had been a wrestler, his father said. After graduation, he lived at home and was unemployed, not yet knowing what he wanted to do. “He very seldom left the house,” John Cornell said. He had recently converted to Islam, which gave him inner peace, John Cornell said. And he had apparently stopped cutting his beard. 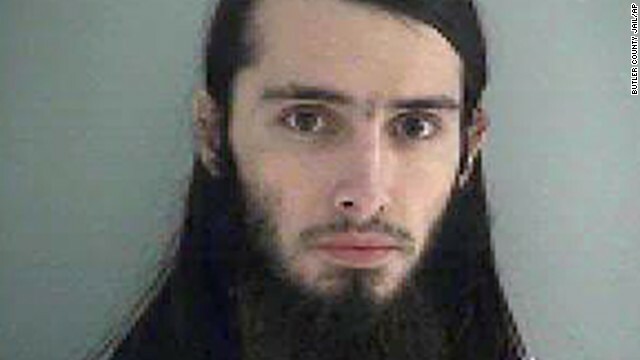 On his mugshot at the Butler County Jail, it’s long and appears untrimmed. Cornell graduated from Oak Hills High School in 2012, where he was a “typical student,” the school district said. His teachers remember him as a quiet, but not too shy, student who participated in class. According to the local police chief, Cornell had never been in serious trouble before either. He protested a ceremony in 2013 to commemorate the September 11, 2001, attacks, holding a sign that read “9/11 was an inside job,” Green Township Police Department Chief Bart West told CNN. But he was not arrested or detained. Cornell was also a person of interest in a case of vandalism in 2013, the chief said. Again, he was not charged. Cornell made a friend on the Internet, his father believes, and posted comments in defense of Muslims. “Chris may have said some things out of anger,” John Cornell said. But he has a hard time believing his son encouraged armed jihad. Once, after his son stayed out with a friend once for two hours, John Cornell asked him where he’d been. “He said that he had went to a mosque,” John Cornell said. Then Chris moved out quietly. “I never seen him leave,” his father said. His son left him a note in his former bedroom. It said he had decided to move in with a friend, who had also offered him some work. Since his son’s arrest, he says he and his wife have not heard anything from officials about where Cornell is. They say they love their son more than ever, and that they are heartbroken. CNN’s Dave Alsup, Joe Sutton, Alexandra Field, Ryan Buckley and Teri Genova contributed to this report.